If you get injured AFTER agreeing to terms and conditions in Malaysia, can you sue? Being Malaysians, especially those who live in cities, our attractions usually revolve around hanging out at a local mall with family and friends. However, some of us might venture out into the more...adventurous side of Malaysia such as heading off to theme parks or joining extreme sports in any of our lush jungles. If you have spent time in a theme park or taken part in scuba diving, for example, you would have been asked to sign one lil form. This form will usually come explained with this phrase, “This is a standard form for you to sign, it’s just to waive us of our responsibilities if you get injured but don’t worry, it won’t happen”. You would probably just shrug and sign it because you figured that it’s just standard and you really really reallyyyyy want to get on that roller coaster. Other than that, you might have seen signs like that while driving into car parks or entering a public toilet. The question is...is that form/sign really binding? Before we tell you the answer, let’s look at what the law classifies that form/sign as. 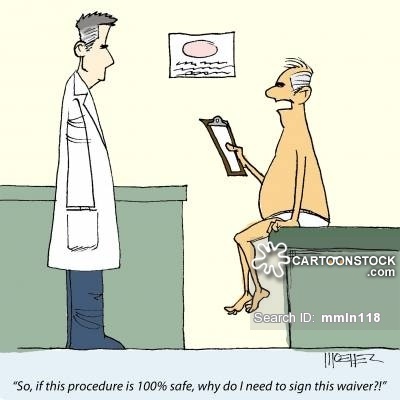 We commonly refer to such forms/signs as waiver forms/waiver notices but these terms are merely containers for the more legally important bits known as exclusion clauses or limitation clauses. There is a difference between these two clauses and what they do. In a nutshell, exclusion clauses completely exclude the other party’s liability while limitation clauses limits it. Let’s take a look at an example of each clause to help you guys understand it better. Ali parks his car in AB’s car park and a piece of ceiling falls on his car and damages it. Ali tries to claim the repair cost of RM1,000 from AB. AB tells Ali that he is unable to claim his repair costs from them because of their sign. AB tells Ali that he is is only able to claim a maximum of RM50 because of his sign. Now that you know how these clauses look like, the question of the hour is how are they incorporated into your contracts? This is where the rule of incorporation comes in. Do you remember that cardinal rule of never signing something before reading it? Well, this was established in the old English case of L’estrange v Graucob. The lady in L’estrange bought a cigarette vending machine and signed an order form with an exclusion clause in it. The courts held that the clause can be enforced against her. Basically this case tells us that it doesn’t matter if you fail to read the contract, the terms can be enforced against you the moment you sign it. Incorporation through signature is pretty straightforward because it is something we are all familiar with but the iffy part is where the exclusion clauses are not found in a contract or not found in something you would generally perceive to be containing terms of a contract. This is where the next form of incorporation happens. The first case of Parker v South Eastern Railway tells us that the exclusion clause will only be incorporated if the person relying on it (the company usually) took reasonable steps to bring it to your attention (notifying you). In Parker, the guy took a package to the train station and left it in their care. In return, he was given a ticket which unknown to him, had an exclusion clause printed on its back. The package then went missing and Parker tried to claim for damages from the train station. The station tried to rely on their exclusion clause. The court when on to say that reasonable notice usually happens when the terms are contained in a document that people would expect to list down the company’s terms. This means that if the terms are written on a torn piece of paper and randomly shoved at you, you might not be deemed to have reasonable notice. Aside from being contained in a document that you are likely to think has terms, notice has a second limb to it – the term has to be introduced before the contract is concluded (whether by signing a document or otherwise). The trifecta cases of Olley v Marlborough Court, Chapelton v Barry UDC, and Thornton v Shoe Lane Parking all tell us the same thing (more of less) but to give you guys some context, we will briefly go over the facts of each case. In Olley, the lady was a long-term resident at a hotel and completed her contract with the hotel at the reception area. She then proceeded to enjoy her room. One day, she left the hotel and as usual, she left her key at the reception area (this was way back when it was normal to do this) and when she came back, she realised that her fur coat had been stolen from her room. When she tried to claim the cost of the fur coat from the hotel, the hotel tried to rely on their exclusion clause which was found at the back of her room door. The court concluded that as the term was only brought to her attention after she concluded the contract at the reception, the hotel was not allowed to rely on that clause to exclude their liability. In Chapelton, the guy involved rented a deck chair to chill out on the beach. There was a notice next to the deck chairs asking for customers to obtain tickets from the chair attendants. Chapelton then paid and obtained his ticket, which he pocketed without reading. The chair later split, injuring Chapelton in the process. It turns out that there was actually an exclusion clause written on the back of the ticket. The court ruled that since the clause came after the conclusion of the contract, the company couldn’t rely on it. Aside from that, they also said that there was no reasonable notice because a reasonable person wouldn’t expect the ticket to contain terms but treat it as a mere receipt (same like the above case of Parker). Thornton’s case would be a situation we would all be familiar with. 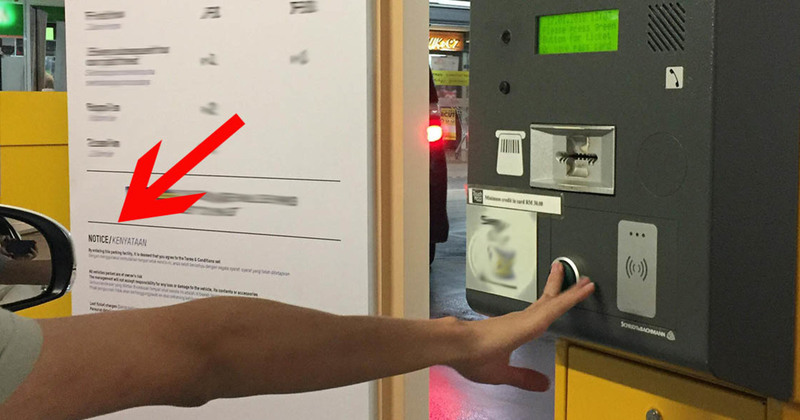 Mr. Thornton drove into a carpark and was given a ticket after he inserted money into the ticketing machine. The ticket stated that it was issued subject to the terms that were found around the premises. On the car park pillars, there was an exclusion clause. Later on while collecting his car, Thornton got injured and the management tried to rely on that clause. Same as all the above cases, the judge ruled against the management because the clause came after the contract had been concluded and it was not incorporated into the contract. This is why you would always see a giant signboard listing all the terms of using a car park at the ticketing barrier instead of after it. It is to ensure that the terms are incorporated into the contract. The third form of incorporation is a finicky one. Ali usually parks at ABC Parking. He always signs an invoice with the term that says, “ABC Parking is not responsible for damage caused by fire to the customers’ cars”. Last Thursday, Ali parks his car as usual but he didn’t sign the invoice. A fire broke out and burnt down the parking garage with Ali’s car in it. Ali sues for the damages for his car. ABC Parking tries to rely on the exclusion clause but Ali argues that it was not given to him. ABC Parking is allowed to rely on the clause despite that because Ali has been a loyal customer who knows of the existence of the clause through his previous course of dealing. The scenario above mirrors the case of Hollier v Rambler Motors except in Hollier, the man was only a customer 3 or 4 times over 5 years and the court held that the clause couldn’t be incorporated because there was no regularity of transactions. This means that for the clause to be incorporated through previous course of dealing, it must be regular and consistent dealings. For example, once a week (regular) versus once every 2 years (irregular). The quote above means that whether or not an exclusion clause can be applied depends on how the contract was made and if the term is clearly worded, the judge cannot reject it even though it may seem unreasonable (this is born out of the idea of freedom of contract). However, don’t fret because the courts will first try to interpret the clause with the normal meaning of the word and if there are still ambiguities present, they will turn to the contra proferentem rule. The contra proferentem rule basically tells us that if there are any ambiguities in the clause, the court will interpret it in a manner that is less favourable to the party relying on it. How this works is like this – in our ABC Parking example above, if the exclusion clause had ambiguities on it (ABC Parking could either rely on it or not), the court will interpret it in a way that does not allow ABC Parking to rely on it. In the simplest form, the court will interpret the clause in a manner that is most favourable to you when there are ambiguities. Has it been incorporated (though signature, notice, or previous dealings)? Are there any ambiguities in the clause? Here’s the thing, after all these layers of protection, Malaysia has another added protection for consumers like you and I. Section 24D defines what contractual term can be considered unfair and section 24D(2) also lays out a long list of consideration that the court will take into account when considering whether or not the term really is unfair. If the court decides that that term/clause in your contract is unfair, then section 24G allows them to consider that the term is void (meaning it cannot be enforced against you). As a point of interest, section 24D doesn’t only apply to exclusion clauses but any clause that could potentially be unfair. If you think that a clause in your contract is unfair, you can report it to the Ministry of Domestic Trade, Co-operatives, and Consumerism (commonly known as KPDNKK). You can contact them via this number 1800 – 886 – 800 or file an online complaint here. Even though the law protects you through multiple ways, it is still wise for you to practice caution while signing any contracts and always read them.